A newspaper headline announcing the vote. On September 8, 1956, voters approved a set of education initiatives known as the Pearsall Plan by a wide margin. The initiatives had been proposed by an advisory committee on education tasked by Governors William Umstead and Luther Hodges to respond to the Supreme Court’s 1954 Brown v. Board of Education decision on school segregation. The committee concluded that integration “should not be attempted” since there was not enough support for it statewide and recommended that the power for assigning students to schools be moved to the local level. Two other components in the bill allowed residents to call for a referendum on whether their local schools should be integrated and pledged the state to pay private school tuition for students unhappy with their assignment. Though the plan was opposed by civil rights advocates for blocking court-mandated integration and by ardent segregationists for not doing enough to prevent it, it passed by a wide margin. Most of the components were never invoked and it was ultimately struck down as unconstitutional by a federal court after a 1966 challenge by renowned civil rights attorney Julius Chambers. An 1898 sketch of Claremont College. Image from the State Library. On August 25, 1880, North Carolina granted a charter to Claremont Female College in Hickory. The school, founded by the Evangelical and Reformed Church, started in an old church building. It was modeled after Wellesley College in Massachusetts. Classes began in September with 21 students. 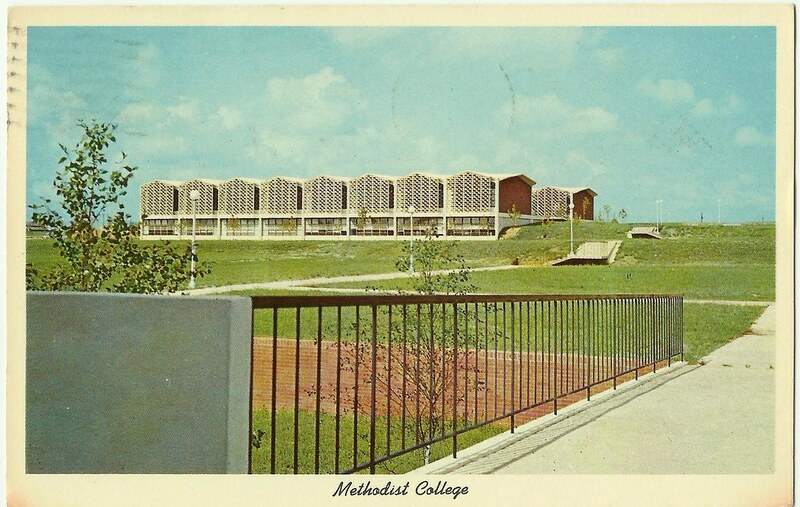 Work was completed on a series of college buildings three years later. Following the resignation of Claremont’s first president, the school suffered financially until the trustees leased the college to William H. Sanborn, president of nearby Davenport College. He resigned after four years. From 1892 to 1907, the college operated with moderate success, attracting students chiefly from North Carolina, but also from across the South. The trustees, tired of leasing the college to individual presidents, offered the college to the North Carolina Classis of the Reformed Church. Under the Classis, the school was renamed Claremont College. Claremont operated until 1917, when money troubles caused the school to close indefinitely. Representatives from Horner Military School in Charlotte considered buying the property, but the deal fell through. Claremont’s board of trustees dissolved the charter in 1937. Higher learning continues at the site, as the location for Catawba Valley High School, now operating as Hickory Career and Arts Magnet. An early view of the Cullowhee School. Image from the Hunter Library at WCU. On August 5, 1889, Cullowhee Academy, a private school that was the predecessor of Western Carolina University, opened with an enrollment of 18. The school quickly prospered and closed the year with 100 students. The school’s second principal, Robert Lee Madison, was a strong proponent of teacher education and proposed that the General Assembly give money to an existing high school in each congressional district so that a normal school could be opened to train prospective teachers. The legislators chose only to fund Cullowhee, giving $1,500 to Madison to get the program started. Although not fully funded at the time, Madison’s idea, called the “Cullowhee Experiment,” became the model for the state’s regional colleges. R. L. Madison. Image from the Hunter Library at WCU. Improvements to the campus were funded by the legislature in 1901, and the school’s name was changed to Cullowhee Normal and Industrial School in 1905. It began operating as a junior college in 1913, while continued growth facilitated the transition to a four-year college in 1925. Re-chartered in 1929, the school became Western Carolina Teachers College, a four-year, degree-granting institution. In 1953, the name changed again to Western Carolina College, to better reflect the institution’s liberal arts programs and graduate courses. The college gained university status in 1967 adopting its ultimate name, Western Carolina University. Today is serves more than 10,000 students in a diverse array of graduate and undergraduate programs. William Ball leads a drama class at NCSA, circa 1965.-66 Photo courtesy of the University of North Carolina School of the Arts Archives. On June 21, 1963, what’s now the UNC School of Arts (UNCSA) was chartered by the General Assembly as the nation’s first public arts conservatory. The idea for the school—known until 2008 as the North Carolina School of the Arts (NCSA)—came from then Governor Terry Sanford and Asheville-born author John Ehle. In addition to providing a $325,000 appropriation, the 1963 legislation established an advisory board of nationally-renowned artists to select a site for the school. The board sought a community that would be engaged with the school, and the citizens of Winston-Salem responded by raising more than $850,000 for the new institution in a two-day phone drive. The original sign used for NCSA at the Chapel Street entrance, circa 1965. Photo courtesy of the University of North Carolina School of the Arts Archives. High school and undergraduate level classes began in September 1965 on the old campus of Winston-Salem’s Gray High School. The school’s first chancellor was composer and Julliard School instructor Vittorio Giannini. A $1.5 million challenge grant from the Ford Foundation helped NCSA expand its offerings, and the school became part of the UNC system in 1972. Throughout the 1980s, NCSA continued to expand its offerings, adding its first graduate program in 1982. Today, UNCSA is one of the nation’s premier creative and performing arts conservatories offering programs across five disciplines—dance, design and production, drama, filmmaking and music. For more, check out a guide to the school’s history, which features a timeline, important early documents and more on the UNCSA Archives website. The Salem Academy and College campus in the 1880s. Image from the Forsyth County Public Library. On May 16, 1804, Salem Academy opened the doors of its new dormitory, South Hall, to students and officially transitioned from a day school to a boarding school. The Moravians had established the all-girls’ school in 1772 soon after the first women trekked 500 miles from Bethlehem, Pennsylvania, to join the community at Salem. One of their number, Elisabeth Oesterlein, became the first teacher at the school. The unmarried women of Salem, known as “single sisters,” governed the academy during this early period. The Senior Study Parlor at Salem Academy and College, circa 1904. Image from Old Salem Museums and Gardens. The Moravians believed women and other disenfranchised groups of the time deserved an education. As early as 1785, records indicate the inclusion of African-American students, and in the 1820s, the daughter of a Cherokee chief attended the school. By the late 19th century, Salem Academy began awarding college degrees. Eventually the academy and college split into two separate institutions, although they still share the same campus. Salem Academy and College both remain all-female, though some continuing education programs for men over age 23 are offered. The American Council on Education recognizes Salem College as the oldest such institution strictly for women in the United States.